Over the years I have developed a severe obsession with hats, I've liked them since I was a kid but more so now than ever. This Spring and summer though, the obsession has become real, particularly with one style of hat that has been sweeping the fashion world, and although I am not too big on following the latest trend or having what all the fashion girls have, this is one I just can't deprive myself of, it just looks so damn good. I already bought one similar to the Lack of Color one in this CHIC Edit and I can't wait to get it in the mail. 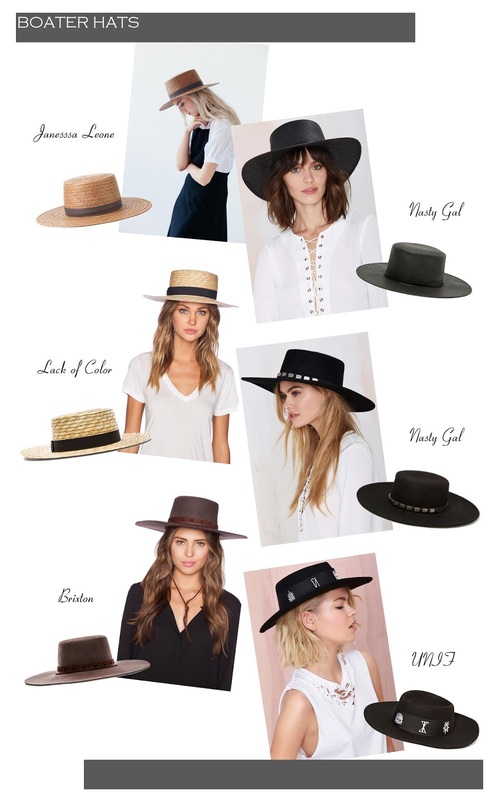 No joke, I want all of these hats on this list, yes I am crazy enough to want to have a million hats (I can sense my husband somewhere rolling his eyes at me), he always thinks I want anything and everything, he is wrong not anything but everything I want, yes I want! I mean my birthday is coming in two weeks (hint hint). I LIVE for hats too but this is one style I definitely cannot pull off!